An Ancient Practice: Does Oil Swishing Actually Brighten Teeth? Take a look at how sales of teeth-whitening products have grown steadily and it becomes clear that everybody wants a brighter, healthier looking smile. Americans spend over $1.4 billion annually on over-the-counter teeth-whitening products, according the non-profit research firm Research!America. That’s a lot time and hard-earned money used for helping to improve the complexion of an individual’s smile. For many consumers tired of spending money on whitening products, many have started to discover the ancient practice of oil swishing, or oil pulling. The practice involves swishing coconut oil around in the mouth for 15 minutes every day. Some practitioners of the practice claim that oil swishing helps freshen breath; others claim it helps to prevent tooth decay, treat gum disease and even improve asthma and arthritis. The practice of oil swishing dates back over 2,500 years to a traditional form of medicine practiced in India called Ayurveda, which core concept states that oil helps to nourish body tissue. Practitioners of Ayurveda oil all parts of the body, from head to toe, on a daily basis. Studies have even shown that habit of oiling the body may cause anti-inflammatory and antimicrobial action to occur. But like many ancient medical practices, does oil swishing still work when held up to the light of modern science? Even the most ardent of individuals who practice the habit admit that it’s hard to believe all of the claims made about the oil swishing. 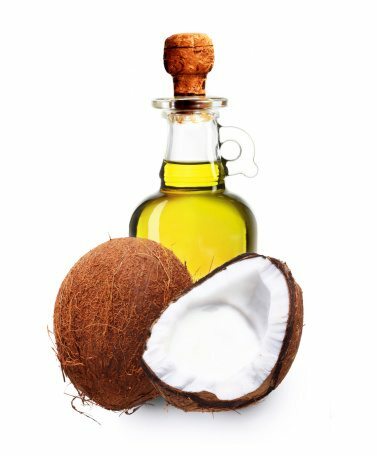 However, this may have more to do with the wide number of miraculous results users of swishing have contributed to coconut oil than with the effectiveness of the habit. Despite the claims users willingly swear by, little hard evidence exists to back up oil swishing having any effect at all on the health of the body. Those who use coconut oil in hopes of achieving a better looking smile report that after swishing the substance around for 15 minutes, their teeth feel cleaner and look brighter after just one use. While any product that could noticeably brighten teeth after one use would become incredibly popular, coconut oil has never been studied by researchers to determine whether the effects are actual or just perceived. As for a downside of coconut oil, experts say that some users may experience feelings of nausea after swishing. However, practitioners recommend reducing the duration of swishing from the full 15 to 20 minutes to five in order to combat any stomach distress. Practitioners also recommend using just a teaspoon of coconut oil when swishing, which can also help curb nausea while still improving oral health. Both the American Dental Association and the National Institute of Dental Health decline to comment on whether the practice of oil pulling actually does help to promote better oral health due to a lack of evidence, and neither organization has any future testing planned. While no scientific evidence exists that confirms the effectiveness of oil swishing, the practice doesn’t seem to present any danger to an individual’s health. Many health experts take the stance that anything an individual does to improve their oral health is better than not doing anything at all. However, they do offer a reminder that many ancient practices were developed in the days before toothpaste and whitening gels, which have been proven scientifically to work. So whether an individual decides to start oil swishing really becomes a matter of personal preference and belief. If you are considering teeth whitening in Beaverton, your should contact our office for an appointment today.